The fastest way of reaching Croatia from Greece is to take a plane from Athens to Dubrovnik, Split or Zagreb. 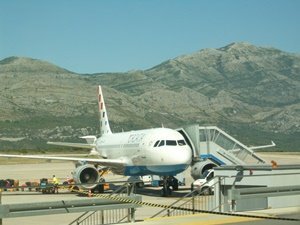 Both Croatia Airlines and Volotea operate flights between Athens and Dubrovnik while Aegean Airlines offers flights between Athens and each of these three Croatian cities. 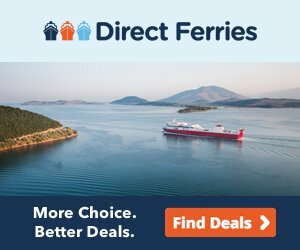 Croatia is not directly connect to Greece by ferries but however you can travel from one country to another via Italy. There are ferry connections from several Croatian ports to Italy. 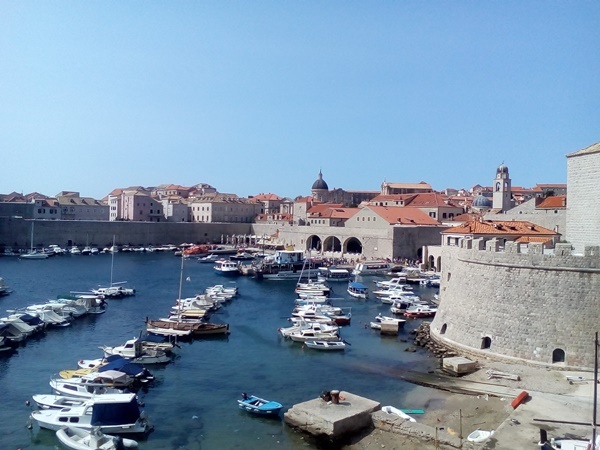 Therefore, you can choose from taking ferry from Dubrovnik in the very south of Croatia, Split in Central Dalmatia, Zadar in Northern Dalmatia or ports of Rovinj, Pula and Umag to Venice. Patras is Greece's main port for ferry services to Italy. All departures to Italy leave at midnight. If you prefer to fly, Dubrovnik is connected by Athens during summer season. Three different airline companies operate flights on this route during the summer season. Passengers can choose from flying with Croatia Airlines, Aegean Airlines and Volotea. The flight takes only 1.5 hours which is convenient for those who are short on time. Taking Jadrolinija's ferry from the port of Dubrovnik in the very south of Croatia you will arrive to port to of Bari in Italy. This ferry operates only from April until the end of October. Crossing time is from 8 to 10 hours. From there you can take ferries to several ports in Greece. ANEK Lines and Superfast Ferries jointly operate ferry from Bari to Igoumenitsa and Patras all year round. Ventouris Ferries is a Greek company that operate car/passenger ferries between Bari and Corfu, Igoumenitsa, Kefalonia and Zakynthos. This ferry service is only seasonal (July and August). If your final destination is Athens or any of Greek islands you need to take a ferry all way to Patras. From there you need to take a bus or train to reach Athens where you can catch local ferry to Greek islands. Another option is to travel to Brindisi, port located 150 km southern of Bari, and from there take a ferry that runs to Greece. This ferry service is operated by Grimaldi Lines. The easiest way to travel between Greece and Split is to fly with Aegean Airlines, which offers direct flights between Athens and Split during the summer. Otherwise, you can travel between Split and Greece by ferry but via Italy. From Split there is a connection to the port of Ancona all year round. Two ferry operators run ferries. From Ancona you can take ferry running to the port of Patras in the Greece. This ferry service is all year round. In the case you are travelling on foot you need to take a bus organized by ferry company to Athens. If you travelling by car, check directions before your travel. If travelling from Zadar to Greece one of the options would be taking a ferry from Zadar to Ancona in Italy. From there you can take ferry to Patras and continue your travel further to Athens by bus or by car. Travel from Istria to Venice by catamarans run by Venezia Lines and Adriatic Lines (Atlas Kompas). These catamarans run only during summer months. Please note that these catamarans don't take cars. From Venice there is a ferry connection to Greek ports. Greece airline company, Aegean Airlines, introduced new plane route from Athens to the Croatian capital Zagreb. Flights will be available in the season - from beginning of May until the end of October. There are no direct trains or buses that connect Croatia to Greece but it is fairly easy to travel between these two countries via Serbia and Macedonia. There are daily trains from Zagreb to Belgrade from where you need to catch a train to Thessaloniki. Once there there are train and bus services that can get you to other destinations within Greece.